9 letters that the likes of Mel Robbins, Jay Shetty, Simon Sinek, Lewis Howes, Steve Maraboli and others say is the core of life. 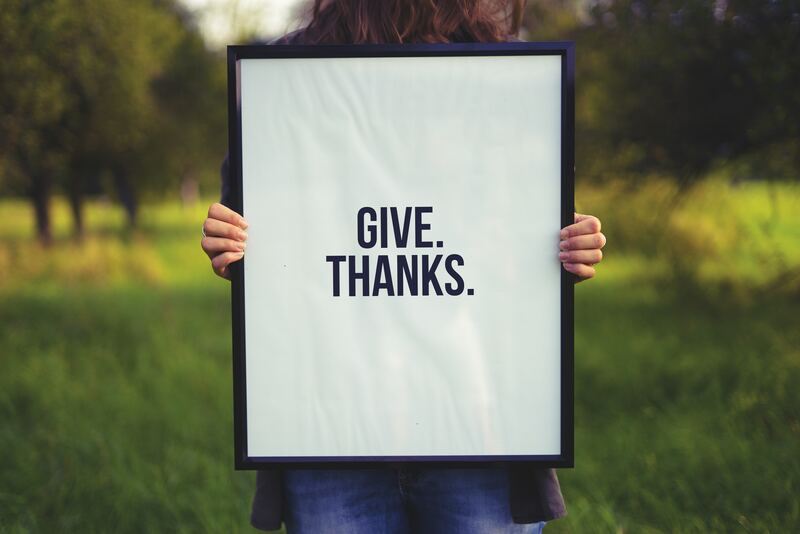 This word is thrown around a lot and there are many synonyms for the word gratitude such as appreciation, thankful, acknowledgement but do we actually know what is? Dictionary.com (2018) defines gratitude as “…readiness to show appreciation”. That is great but what does that mean? It means that you understand that life ( the universe, God etc) can put us in situations that literally show us what we currently have versus what we could have, if not thankful. Life can give us a glimpse of the situation we could currently be in. Take my parents’ country of Egypt for example. The last time I was there, I was walking down the street with a relative and I saw an elderly man with a cane who kept repeating the location of where he wanted to go. It was obvious he needed money and did not have any. What was obvious to me was that I could help him. I asked my relative if I could have 10 Egyptian pounds to give to the man and told her that my father would pay her back later. I snatched the money out of her hand and went back to give it to the man. I also made sure to tell him that the cab driver should only take a certain amount of pounds so as not to screw him over and take all of his money because he was poor. He thanked me and off we both went in our different directions. Not only did that make me feel good but it indirectly showed me that what I had- clean clothes, the roof of my grandmother’s house and the roof of our New Jersey apartment, a bike, a book-bag, a bunk-bed, food, family trips, money ( my parents’ at the time)- could easily be taken away from me if I was not truly thankful for it. If I was not truly thankful for it, that could easily be me. It could easily be my family. Being constantly appreciative essentially means that negativity is nowhere near you. It enters the mind and heart of others but you, it does not touch. It does not dare skirt around you, because of fear. It bounces off you like a shield, afraid of the consequence. If you want your life to be enriched, always practice gratitude. As we delve into January, how are you going to practice gratitude?